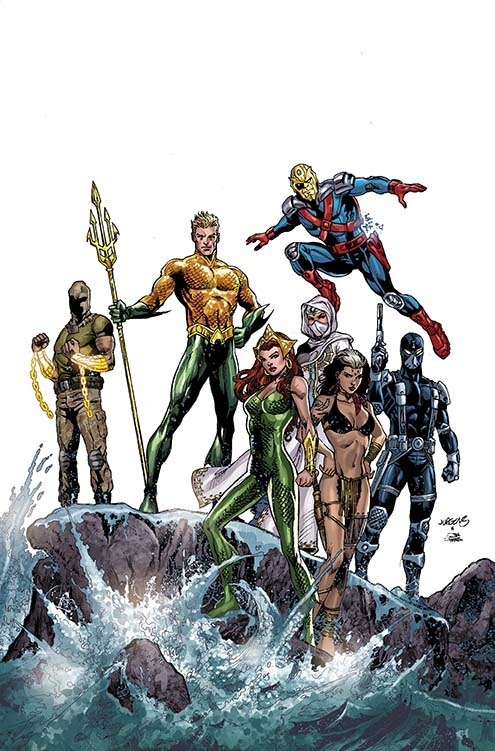 Following yesterday's announcement from Warner Bros. that Aquaman 2 has a release date, now a rumor hits the net offering the sequel may feature a new team of heroes. 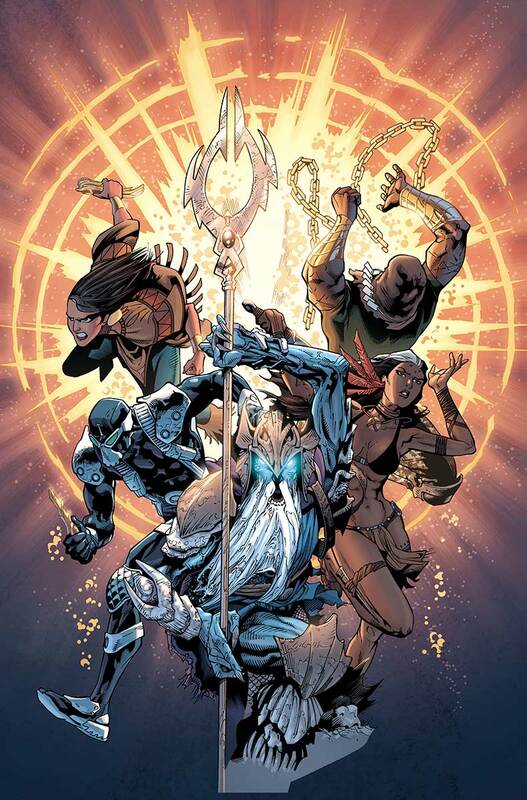 According to The Aquaverse on Twitter, Aquaman 2 will feature The Others, who in the DC comics is a mysterious group of heroes that Arthur Curry was once part of and all of whom are humans that wield legendary Atlantean artifacts. The Twitter account seems to be legit as apparently, they nailed a rumor from four years ago offering the first movie would feature Jason Momoa, Mera, Orm, Black Manta and The Trench. They also point out that DC comic book and Aquaman artist Ivan Reis, who worked on the earliest pieces of concept art for the movie, recently posted a previously unpublished auction-sketch he did years ago just yesterday, which features a member of The Others with Ya'Wara. 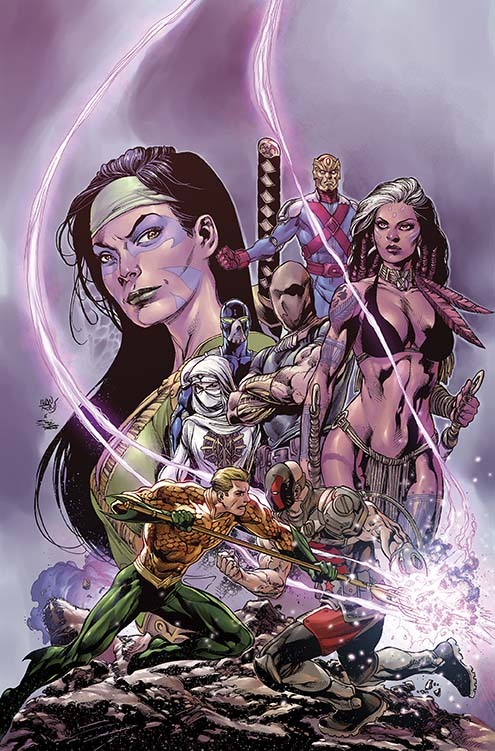 In the comics, making up The Others at one time or another includes Aquaman with the Trident, Ya'Wara with a Teleportation Globe, The Operative with The Key, Prisoner of War with the Atlantean Manacles, Vostok-X with the Atlantean Helm, Kahina the Seer with the Seal of Clarity, Sky Alchesay with Seal of Clarity, and Sayeh with the Seal of Clarity. The rumor does seem legit as, in the comics, Aquaman teams with The Others to take down Black Manta, who we all know will be the villain of the sequel as teased by the first flick's post-credit scene. Aquaman 2 has a December 16, 2022 release; it is unknown if James Wan will return to direct, but it is guessed he will at least be back in a producer role.